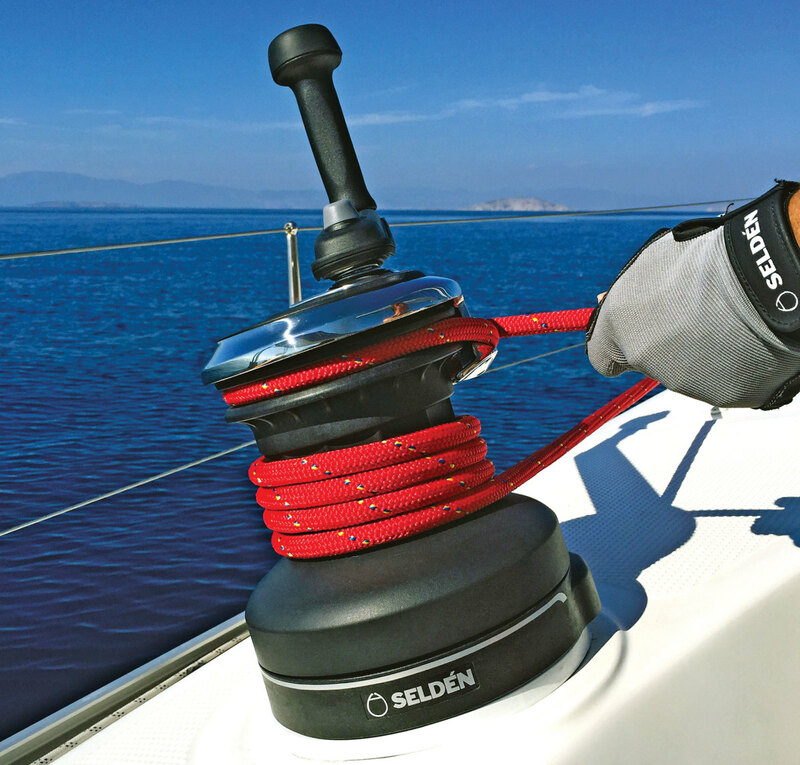 Seldén’s S-series winch simplifies tacking and makes handling a loaded sheet easier and safer by allowing you to tail the line to your heart’s content with it already running through the self-tailing mechanism and the winch handle in its socket—no more having to pop in the handle or thread the loaded line while you’re hanging on for dear life with the boat on its ear. The transition from tailing to grinding mode also becomes a one-person operation, meaning you can keep that much more weight on the high side. A series of concave surfaces on the anodized aluminum drum ensures the line runs up through the carefully sculpted self-tailer with a minimum of fuss, while the socket for the handle is offset to help keep the handle out of the way.